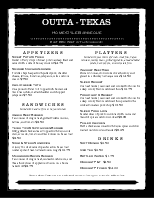 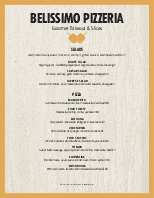 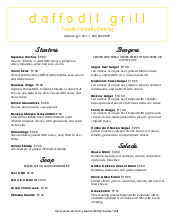 This family style menu page features item names and descriptions that can be customized in quirky, varying fonts. 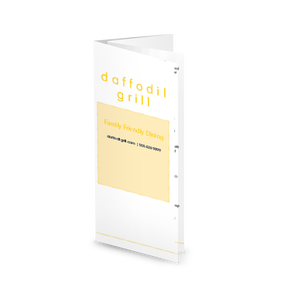 A yellow specials box adds color to this 8.5 x 14" menu's look. 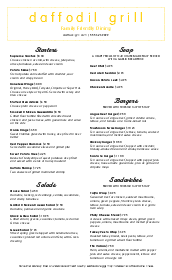 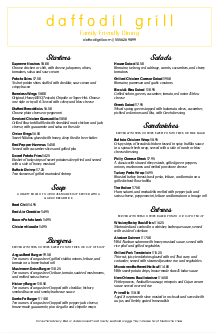 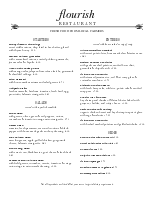 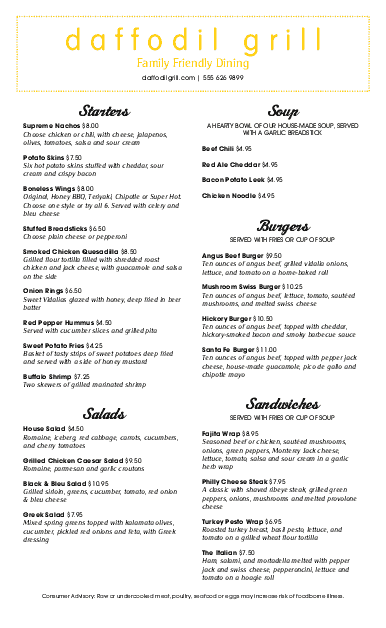 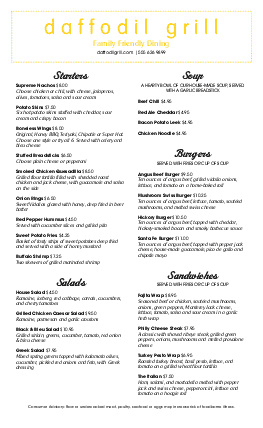 Update this family restaurant menu page online using the Menu Editor.